Paradigm® Blog | News & Updates: 5 Stars for the Paradigm Atom Monitor from Home Theater Review! 5 Stars for the Paradigm Atom Monitor from Home Theater Review! 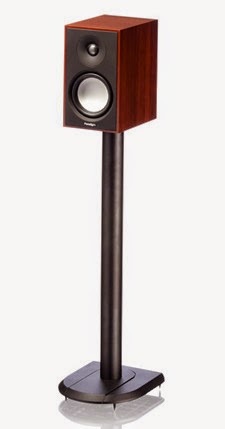 In a recent review published by HomeTheaterReview.com, Andrew Robinson gave the Atom 4.5 stars for Performance, 5 stars for Value and an Overall score of 5 stars!! 5 Stars for the Paradigm Atom Monitor! "I noticed straight away that the Atom's high-frequency performance was one of surprising vigor. There was an incredible amount of detail present in the Atom's high-frequency performance that simply caught me off-guard... While I've encountered "airier" tweeters, what the Atom possessed for less than $200 per speaker was remarkable." "The added top-end detail acted more or less like punctuation on large dynamic swings, such as explosions and/or gunfire. It also aided the Atom's spatial definition and delineation, two other elements that were also exceptional." "I couldn't detect any port noise or cabinet resonances with the Atoms, which is rather impressive, given their modest price - a testament for sure to Paradigm's manufacturing prowess. The resulting five-speaker soundstage was one of seamless beauty and excellence with regard to accuracy and ambient detail. When played back at near-cinema levels, the resulting five-speaker performance was wholly enjoyable and very convincing." "I consider the Atom to be not only a great speaker, but a leader among its peers." "Dynamically, I found the Atoms to be startling, as I simply wasn't expecting them to be as bombastic as they were. To say that the Atoms are capable of big sound is an understatement. Moreover, the effect of having five identical speakers cannot be undersold, as the seamless portrayal of space in a 360-degree circle is a thing of utter beauty, something the Atoms not only get right but do so at a price point I feel many can justify. For such diminutive speakers, the Atoms again proved to be quite adept at recreating a convincing cinema experience." "A single Atom, I felt, did a better job in covering lateral space than most center channels do with their (largely) horizontal configuration... Dialog on the whole felt true to the actors' natural tones and timbres, and it even matched their visual scale on screen, which can be difficult when your visuals span 10 feet, yet your speakers are smaller than a shoebox. Still, the Atom was exemplary in this regard, besting even a costlier competitor that I had on hand..."
"I also noted that the Atoms' handling of the film's score was nicely nuanced and well-balanced in its portrayal. While I've experienced the Atoms doing their best bigscreen rendition of the real cinema experience, it's nice to see they possess a delicacy, too, one that is exciting, albeit on a far more intimate scale." "Does the Atom image well? Yes, brilliantly so. Does it have a good soundstage? Again, yes. But neither does a pair of Atoms, nor any other two discrete speakers, hold a candle to what is possible when five are applied... The Atoms were lively and snappy and provided for a fun and engaging listening experience, which is really the goal, isn't it?" "...I really do question some people's need for more. More what? If you look past its diminutive size, modest price and Everyman appeal, and instead focus on just enjoying yourself, the Atom is truly as good as you need it to be. When properly set up (this is a big factor), I think it is capable of shocking even the most devout true believers." "While five matching Atoms were requested for big screen, cinematic viewing - a test they passed with flying colors - the fact that they're equally enjoyable for multi-channel/two-channel music is but icing on the proverbial cake." "So, once again, I set out to see if an affordable two-way bookshelf speaker could live up to and recreate a scaled-down version of a true cinema experience in one's own home. This is a test the Paradigm Atom Monitor speaker passed with flying colors. For less than a grand for a five Atom surround sound setup, I found it not only hugely satisfying, but utterly surprising just how much performance the little Atom packed for so little money... This is why I consider the Atom to be not only a great speaker, but a leader among its peers." Click here! for more info. on the Paradigm Atom Monitor.